Lodge Almoner or Lodge Charity Officer? As your Div GM, I have become aware there is confusion between the roles of the Lodge Almoner and the Lodge Charity Officer within many of the lodges in the Division. I noted this article in the Central Division Web Page and it is just as relevant for us in the South. Does your Lodge have one of each? Do you understand their respective roles? Your jewel is a scrip purse with a heart engraved thereon, an emblem of Brotherly Love and Benevolence. 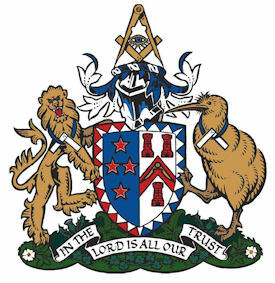 His duty is to the Brethren of the Lodge and to the Lodges Widows. He may be involved in applications to the Freemasons Charity when assistance is required, but primarily his role is one of maintaining contact with the brethren and widows and reporting back to the Lodge as and when required. The Lodge Charity Officer on the other hand is the direct link between the Lodge and The Freemasons Charity. 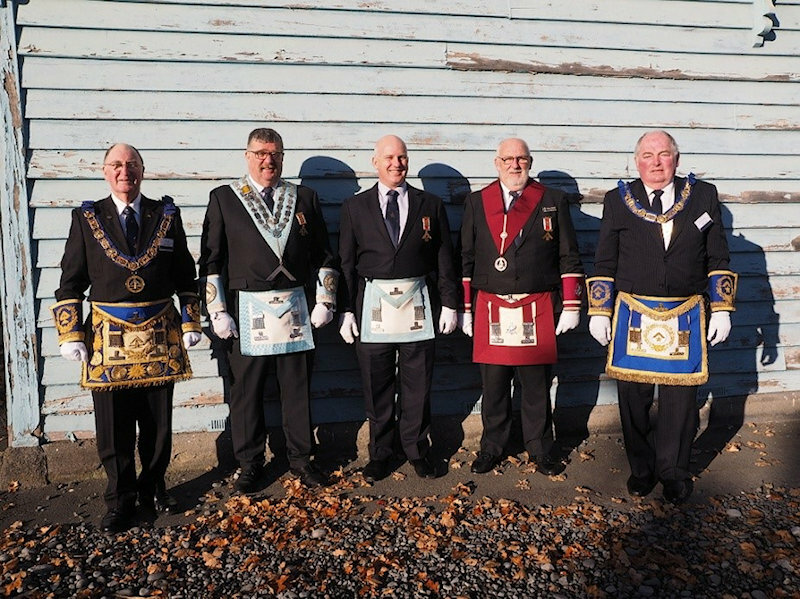 His role is to apply for and manage the dispensing of charity from the Lodge to the respective recipients, who may not necessarily be masons or have a masonic connection. Within a Lodge, the Lodge Almoner and Lodge Charity officer may be the same person though we recommend that they not, so that the two roles are kept distinct and are not confused. So how should it all work? Masonic Assistance: Should assistance be required for a brother or widow then the Lodge Almoner should bring this to the attention of the Lodge who will in turn decide on what action is required. If an application is to be made to the Freemasons Charity for assistance, then at this stage the Lodge Charity Officer should become involved. Non-Masonic Assistance: If the Lodge wishes to undertake a lodge project, regardless of whether it is going to require assistance from the Freemasons Charity or not, this should come under supervision of the Lodge Charity Officer. What does the Lodge Charity Officer have to do? Before the Lodge commits itself to any project or any form of benevolence, masonic or otherwise that may require Freemasons Charitable assistance, the Lodge Charity Officer should contact the District Charity Officer to ascertain if the application will meet the criteria as required by the Charity. 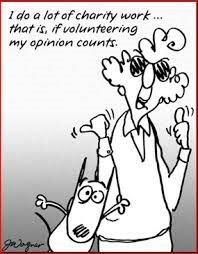 If it does, then the Lodge Charity Officer can proceed with the formal application. The Lodge application once completed, is forwarded to the District Charity Officer, who after confirming that it is all in order and that the application meets the criteria then forwards it to the Divisional Almoner for approval and processing. Once approved, funds are deposited into the Lodge bank account. NOTE: We do not give away cash. Funds deposited must be used for goods or services. So why should I make an application to the Freemasons Charity? The Freemasons Charity is your charity and its role is to aid the Lodges when they embark on a charitable or benevolent project (subject to criteria of course). For example, your Lodge may have a project in mind that requires $2000.00 to complete. An application to the Freemasons Charity which meets the criteria may see it qualify for a 1 for 1 subsidy, meaning your Lodge now only needs to contribute $1000.00 or half of what is required. In some circumstances, a multi Lodge project or a District project may qualify for an even higher subsidy. What does my Lodge Need to do? Appoint a Lodge Charity Officer, then make contact with your District Grand Master and District Charity Officer who will walk him through process of what is required to make an application to the Freemasons Charity. And once he is appointed use him. Become active in your community and more importantly support your brethren and widows when assistance is required. Since my last Divisional Grand Masters “Pen” a lot has happened in the Division. We had a very successful Divisional Conference at Methven and then late in April I travelled to be with RW Bro Jim Watt at his Central Division Conference in Wanganui. From all accounts all of the Divisional Conferences were well attended and the new national remit style of voting was fully accepted. What was noticeable was the ease with which the remits were managed, which clearly indicated the lodge delegates had been well prepared and briefed by their lodges on how to vote. Also encouraging was the lodge delegate turn-out, thus ensuring a large majority of lodges had their say in the Craft management process which is an important factor in our constitution. April and ANZAC go together in this country and again there were several lodges in the Division that devoted their regular meeting to marking “ANZAC” and ensuring their community had the opportunity to participate and be part of the Freemasons tribute to those that gave their time or life for our country. 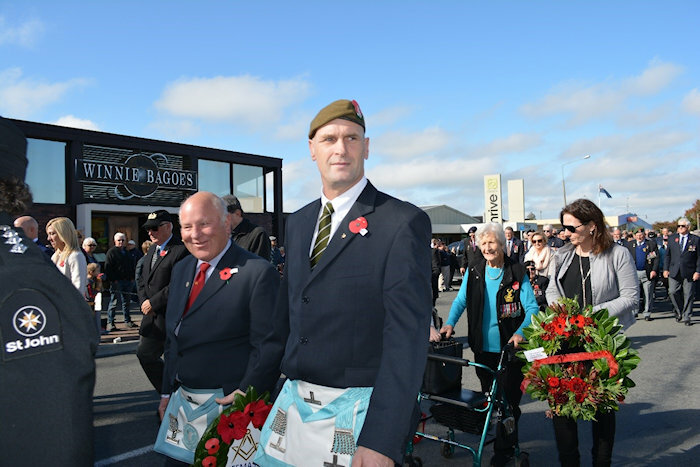 As a step forward the Ashley Lodge No 28 paraded behind its lodge banner at the Rangioria ANZAC Parade, laying a wreath, then being warmly welcomed by the Mayor for participating. This is a great way for a lodge to interact with our public and certainly goes with the “Speak Up” concept we are all working toward. As can be seen in the photo left, the two very smartly presented brethren well met the requirement for wearing regalia in public. constitution in England. Our Grand Master Most Worshipful Mark Winger along with the District Grand Masters of the Scottish and Irish Constitutions and some of their brethren met with the District Grand Master United Grand Lodge of England Right Worshipful Bro Geoff Rowe in Christchurch. This was an engaging and instructive afternoon meeting, followed by a celebratory meal in the Dining Hall at Christ’s College, Christchurch where Freemasonry toast oratory was heard to the delight and entertainment of all. On the Sunday morning the New Zealand contingent photo right, made a chilly step off in full regalia, passing through the tree lined streets concluding at the Christ’s College Chapel and attending an encouraging and well informed church service. A service that fully supported the Freemasons, and the work that they do for the community. In all, a very good weekend and one that saw the Constitutions in New Zealand working and celebrating together. Winter is setting in but it has not deterred the enthusiasm within the Division. District Grand Masters are well into their pastoral and ceremonial work and the Grand Master has set the scene and accepted visits to the Division. One such visit was to Christchurch and Ashburton where he attended a Gavel Exchange meeting which was something the Grand Master had not witnessed before. Apparently “Gavel Exchanges” are not common in Northland so it was good to educate the “Boss” with another enjoyable style of ceremony. 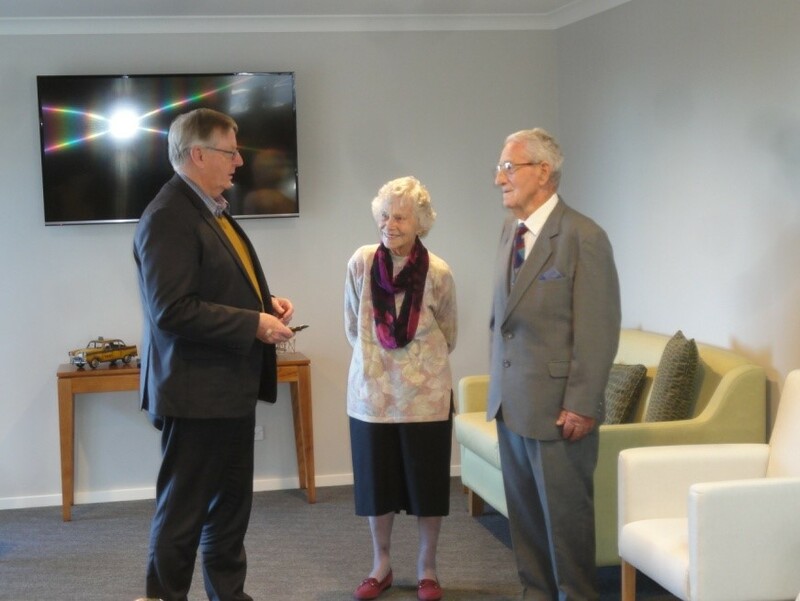 While in Christchurch, he met with the sitting Masters to discuss the Craft and his plans for the way forward. Later he met with Most Worshipful R J Duncan PGM thanking him for his loyalty to the Craft and presenting him with a 60th Bar to his 50th Year Badge. It was a lovely afternoon with the presentation being carried out at their residence with family and members of United Forces Lodge No 245 all gathering to honour the work and commitment of our brother. Mrs Duncan was also thanked for all the support that she had given to Ray and the Craft over the long period of his service. The Division Web Site is growing and each month more districts are taking on the challenge and submitting articles recognising its value both within and outside the Craft. This is an important communication tool, but is very dependent on its success with the lodges and districts “Speaking Up” through this medium. You are getting there but there is more work yet to be done from the Lodges, so don’t rest on your laurels. After all we are but One Island, One Division, but most importantly One Team and the Web page is one of our team efforts. I look forward to meeting with you in the Division some place and sometime soon. With winter now officially upon us. Keep warm. Keep safe and keep up the good work. It really is a new beginning with the changeover of the District Grand Masters, the formation of their teams , the development of a Divisional Advisory Team headed by VW Brother Brian Coutts, and the introduction of the Southern Division Web Page. But before I launch into this I would like to thank those District Grand Masters and the officers that have completed their 2013-16 terms; a term that has seen a shift in Freemason demographics, with the next generation successfully moving into management of lodges and Districts. We have seen innovative fundraising activities benefiting a number of organisations from helicopter rescue organisations to helping individuals that have fallen on hard times and all aided through the dedication of our Masters and Almoners. The past term has seen changes at a National level ensuring the Craft is in the best position to meet the needs of the lodges and its members. A successful 2016 Communication and Grand Installation with the start of a new “Speak Up” phase aimed at ensuring that these works of benevolence and charity do not go un-noticed. Interesting aids such as the “Tool Box” encouraging Masters to make the best of their meetings were introduced. And for the South, as I welcome the new District Teams, I also herald the start of our own web site as this will be the conduit for up to date division news and information available across our districts. The system we have adopted is well and truly tried and tested having been in operation in the Central Division for the last four years. However, like many web information systems it relies on contributions and Districts “Speaking Up” about their activities and good times. As I have previously promulgated, the Division Communications Officer W Bro George Currie will assist Districts and lodges in getting this information to the web and I ask that you all give him all your assistance to ensure we have the best divisional web site. You can email him by clicking here. The Grand Master will be visiting The Saint Bathans Lodge No 126 at the Installation meeting of Bro Lochie Rutherford on Thursday 9 March 2017.This will double as a "presentation meeting" for RW Bro J T Clouston P Dep GM, in acknowledgement of his 50 years of Grand Lodge service. It will also be the first visit by MW Bro Winger as Grand Master, to the Division so a great chance for you to meet him and to make him welcome in a true Southern Division way. Later this month is the Southern Divisional Conferences and I urge you all to be there and participate in the management of your division. Once again National Remits will be voted on at the Conference as well as Divisional business and other items of interest. It is a good venue to be with your other lodge divisional cobbers; to chew the fat, learn what others are doing and to encourage those that are feeling their way in the Craft.